The Great Canadian Race Weekend continued on September 16th with the championship event for the APC United Late Model Series, as well as a 50 lap event for the Ground Masters Super Stocks and feature races for the Demar Aggregates Trucks, TransAxle V8 Stocks, and Fire & Iron Custom Metalwork Bone Stocks. The next event at Delaware Speedway is September 30th for the annual Pumpkin Smasher featuring the championship race for the Fire & Iron Custom Metalwork Bone Stocks as well as a demolition derby. 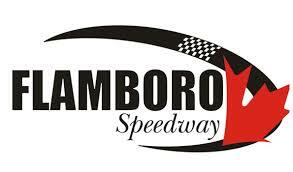 More information can be found on www.DelawareSpeedway.com – the event starts at 3:00pm. After APC Series group qualifying, which saw Brandon Watson (#9) top the charts, the Fire & Iron Custom Metalwork Bone Stocks took to the track for their 25 lap main event. Justin Tibideau (#14) and Matthew Miller (#99) started on the front row for the event which saw 40 cars take the green flag. Matthew Miller led the opening circuit before the caution came out on lap 2 for a few cars tangling in turn 1, including Tom Tomlinson (#2). Matt Langford (#03) took the lead after the restart as Chris Radder (#31) trailed behind. The field got into a rhythm after a few circuits and the battle behind the front few developed with Ron Proulx (#19) and Jordan Morris (#73). The battle for the lead developed on lap 17 before chaos between leaders and lapped cars resulted in the front cars tightening up. Lap 18 saw the caution come out once again as Ron Proulx tangled with Chris Radder, sending him around. Jordan Morris took the lead after the restart before the caution flag was displayed for Curtis Shildrick (#55) going around in turn 4. Morris held the lead after the restart before Jeremiah Rabideau (#4) took the top spot with just a few laps to go. On the white flag lap there was a major crash on the front straightaway with Mark Lamont (#60), Greg Francis (#11), Ben Davey (#07), and Adam Clifton (#13). The race ended as a result of the crash with Jeremiah Rabideau scoring victory over Morris and Langford. The TransAxle V8 Stocks were up next for their 25 lap feature race with Manuel Ferreira (#8) and Dustin Hardy (#21) on the front row. Paul Fothergill (#33) made a bold three wide move right away to take the race lead before Barry Watson got beneath him and challenged. As the front two battled side by side, Steve Arrand (#37) joined the fight and it became a three dog battle with 20 to go. Watson took the lead on lap seven, bringing Arrand through with him. Watson would go on to collect the checkered flag, adding to his stellar season. Steve Arrand and Paul Fothergill rounded out the podium spots in the race. Mickey Brydges (#55) and Rob Windis (#29) led the field of Demar Aggregates Trucks to the green flag for their 25 lap main event to complete their 2017 season. Bridges maintained the lead early in the race as the field stayed tight together with Tom Zagorodny (#77) pressuring for the lead. After a lengthly battle, Rick Verberne (#88) moved around Devon Bloemendal (#01) for third. Zagorodny took the lead on lap 15, bringing Rick Verberne with him around Mickey Brydges. The front two drivers raced side by side with less than five laps to go as Brydges looked on from behind. Tom Zagorodny was able to hold off numerous charges from Verberne as Mickey Brydges finished in the third spot. Adam Swales (#18) and Shawn Hewitt (#3) led the large field of Ground Masters Super Stocks to the green flag for their 50 lap invitational race. Derek McCullough (#38) took the lead early in the race before he was passed by Brad Collison (#13x) on lap five. The caution came out on lap seven as contact between Kris Lawrence (#28) and Trevor Collver (#1) sent Collver into the turn one wall. Under the short green flag run, Kenny McNicol Jr. charged from 15th starting position to sixth, making most of his passes on the high side going three wide at times. On the restart, Gary Adriaensen (#55) went up in smoke and spun to the inside of turn one. Miraculously, Adriaensen was able to keep his Camaro to the inside groove and avoid certain disaster. Collison maintained the lead after the restart as Kenny McNicol Jr. worked his way up to the second spot quickly. On lap 20, McNicol Jr. took the top position away from Collison, just before the caution flag flew for Trevor Collver and Gary Zwygers (#93) making contact entering turn one. The restart allowed McNicol Jr. to pull to a sizeable lead as drivers battled hard for the spots behind. Darrell Lake slowed on lap 26 and came to a stop on the front straightaway, resulting in the caution flag coming out once again. The field quickly got into single file formation after the restart and McNicol Jr. once again began to move into his own area code. On lap 45, Adam Swales (#18) had high troubles in turn one and went hard into the outside wall and went airborne, resulting in a restart with just five laps remaining. Jake Sheridan gave it all he had on the restart, however would lose second to Collison as McNicol Jr. checked out once again. McNicol would score the win and sweep the weekend for the series as Brad Collison, Jake Sheridan, Matt Robblee (#51), and Andrew Ferreira (#9) rounded out the top five. JR Fitzpatrick started in the pole position after selecting the number one pill in the redraw, as Brandon Watson rolled off from his high side. By taking the green flag, Watson was officially crowned the 2017 APC United Late Model Series champion. Brandon Watson led the opening lap of the race before the caution flag came out on lap two for a hard hit in turn one, involving Mat Box and Junior Farrelly. JR Fitzpatrick took back the race lead on the ensuing restart, however it would only last until lap 15 when Brandon Watson made a move back around the #84 machine. Watson would continue to pace the field until lap 26 when he slowed with an apparent issue on his #9 Ford, and JR Fitzpatrick once again took over the top spot. The caution flag came out on the same lap as Corey Jones stopped on track, however Watson was not able to return in time and fell laps down. Lap 27 saw JR Fitzpatrick and Shae Gemmell make contact in turn three and both drivers would end up going to the rear of the field. Matt Pritiko would inherit the lead for the restart after the front two had their incident. She Gemmell and JR Fitzpatrick began a hard charge through the field, and on lap 31 Gemmell made a bold three wide move to get back into the top 15. Lap 35 saw Fitzpatrick return to the top 10 as Matt Pritiko continued to lead. Shae Gemmell returned to the top 10 on lap 44, and then to the top five on lap 64 after a ludicrous drive through the field, all under green flag conditions. Lap 71-73 saw Andrew Gresel close the gap as he and leader Matt Pritiko worked lapped traffic. 88 laps into the race Shae Gemmell returned to the top three, as the battle for the lead was heating up between Andrew Gresel and Matt Pritiko. Just as the two leaders were beginning to fight and lean on each other, everything was changed when a crash on the back straightaway with Jamie Cox and Billy Schwartzenburg brought out the caution on lap 96. The restart was disaster as Ron Beauchamp Jr. got loose in front of the field and was hit hard by Treyten Lapcevich. Billy Schwartzenburg, Patrick Freel, and JR Fitzpatrick also were involved in the crash. The final restart saw Andrew Gresel take the lead on the high side as Pritiko was forced to try and fight for his win. Gresel was able to hold on for the victory, his third Great Canadian Race win. Matt piratic finished second, Shae Gemmel third, Branden Verhoeven fourth and Shawn Chenoweth rounded out the top five.